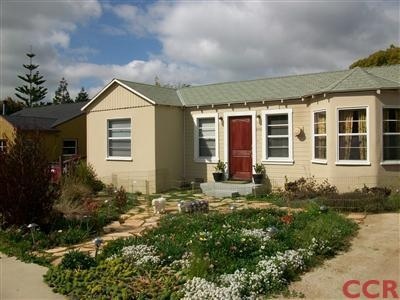 This San Luis Obispo property is a Short Sale and is Two grandfathered 2 bedroom, 1 bath houses on one lot. 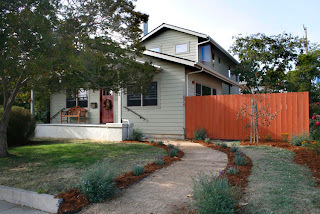 Nicely landscaped front yard, rear fenced yard. Two single garages connected to back unit (one for each house). Newly painted, refinished hardwood floors. Perfect investment property and priced for multiple offers. Click here for more information and images. Contact Traci with any questions. When you are looking to move after buying your first home or simply moving to the Central Coast, think of Meathead Movers to get your things moved safely and efficiently. As a Realtor in San Luis Obsipo, I proudly recommend them to my clients when they need a fast and reputable moving company. Meathead consists of a crew of professionally trained student-athlete movers. Their additional services include; Concierge Service, Storage, On-Site Moving, Local & Long Distance Moving, Commercial Moving and Packing. Meathead understands the meaning of customer service. Moving is never fun but if you have to move, Meathead prides themselves on delivering the best possible moving experience to all of their clients. They have been a fixture on the Central Coast for 13 years. With offices are all over California, you will be sure to get your things moved, hassle free. They have stores located in: San Luis Obispo County, Los Angeles County, Orange County, Santa Barbara County & Ventura County. Here is a link to the festivities on Jan 1 2011. Bring in the New Year by running into the ocean for the Annual Carlin Soule Memorial Polar Bear Dip in Cayucos! (Some in costume). For the brave/ insane and the people that love to watch. There is a certificate for each of the hundreds of people brave enough to participate. What Income Should You Have to Get The Home You Want? Your level of income is only one piece of qualification puzzle when you are in the market for the home of your dreams. Lenders will review other things, such as your credit score and your total amount of debt, when considering you for a loan. Remember, your debt takes away a big part of your income. So even if you meet the lenders general guidelines for income level, you'll be denied if you are paying too much money toward your other debts (because you would have less money left over each month to put toward a mortgage payment). There are a few factors, but you can use 30% as a rule of thumb. In other words, most lenders want your annual income to equal around 30% of your mortgage amount. So based on this rule of thumb, if you wanted to qualify for a mortgage loan of $300,000, you would need an annual income in the neighborhood of $90,000. If a married couple makes $45,000 each, they should qualify for a $300,000 loan. Your lender can work with your individual situation to get you the largest loan possible. 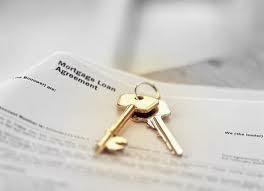 There are numerous types of loans and ways to qualify. Some first time buyer loans make it very easy to qualify with little money down. Some FHA loans require as little as 3-4% down payment. It's important to shop around for loans and lenders. Large banks may offer different loan packages than smaller local banks or brokerages. It's important to shop for your loan and see what choices you have. Ask your Realtor for referrals to lenders in your area. We strive to make it easy for you! 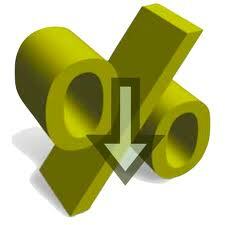 Visit my Mortgage Calculator page filled with additional information. For more information about Real Estate on the Central Coast, please contact Traci Ferguson by E-mail or by phone directly at 805-235-6396. As a home buyer in SLO you have tax benefits that will save you money every year. Your mortgage interest and real estate taxes are tax deductible and anyone with a mortgage can enjoy this tax benefit. During the early years of the home mortgage, most of your monthly repayments go towards your interest, with little payment towards the capital. Tax benefits are therefore very useful for first-time home buyers, especially during the early years of acquiring the mortgage. The early part of your mortgage payment is primarily paying on the interest of your loan. This interest payment is fully tax deductible. As you pay more on the amortized home mortgage over a longer time frame, more of each monthly payment goes towards paying the principle, and less towards interest. This means that with time, you lose some of your interest write-off as your equity in the property increases. It is important for you to note that you can take these tax deductions if you change from standard deduction, which all tax payers are entitled to, to itemized deductions. In the case where your itemize deductions, including home mortgage interest and property taxes, do not exceed the standard deduction amount, it is better for you to take standard deduction. In San Luis Obispo home prices can be higher than the rest of the country. Knowing what you can afford on the income you make is vital to choosing the best property for you and your family. Not only do you factor in the cost of your mortgage, but additional costs such as annual Property Taxes, HOA Fees (for condos), property maintenance, down paymnet and your current debts. Once you can accurately asses your financials, you can work with your Realtor to find the perfect home in your price range. As a broad generalization, most people can afford to purchase a house worth about three times their total (gross) annual income, assuming a 20% down payment and a moderate amount of other long-term debts, such as car or student loan payments. 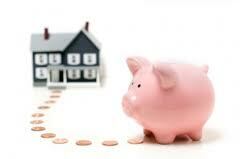 With no other debts, you can probably afford a house worth up to four or even five times your annual income. For more information about Real Estate in San Luis Obispo County, please contact Traci Ferguson by E-mail or by phone directly at 805-235-6396. Why Would You Pay Down Points? As a new home buyer you have to make many decisions. Buying a home can feel like a daunting task. As your real estate agent, I am here to guide you to get the information you need. You have many decisions to make including what is the best possible percentage rate can you get to keep your mortgage payment low. I have had some clients ask about points, what the benefits are and when is the best possible time to pay them. The term points has multiple meanings in the mortgage world. Mortgage points can refer to loan origination fees (fees charged by the underwriter) or discount points (also known as loan discounts). Typically, a point is equal to 1% of the purchase price. By using a Mortgage Calculator you can see how paying money upfront to pay down your interest rate can lower your mortgage payment. The difference in savings over the life of the loan can make paying points a benefit to the borrower. Using a Mortgage Calculator can determine what and how many points you would need to pay down to get the interest rate and monthly payment you are looking for. When should you pay down points? If you intend to stay in your home for an extended period of time, it may be worthwhile to pay additional points in order to obtain a lower interest rate. The amount of money you save over an extended period of time will off set the upfront costs you made at the beginning. Paying points on a short term investment or residence doesn't make financial sense to do. For more information, or to use my Mortgage Calculator, click here to begin. 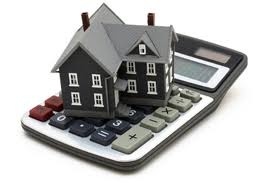 Or visit my website for additional Mortgage Calculators. San Luis Obispo sellers that will be listing their home for Sale in 2011 will have the upper hand if they follow some simple tips when preparing their Home For Sale? As the new year approaches and I am getting inquires about listing property, the question has come up; "How do I get my home ready to put it on the market?" Well you can watch a four minute video on my website, explaining how to prepare your home for sale. Or see the list below to set your home up for the best possible chances for being sold first and impress any buyer. 1. First impressions are everything. What first impressions is your home giving? - If your yard, walkway and landscaping are over grown and need some trimming, get it done before buyers start coming by. Trim back hedges, rake the leaves and make the yard nice and neat. 2. What focal point can you enhance to build better curb appeal? If you have a large oak in your front yard or a beautiful rose garden, make sure they are showcased in the best possible way to appeal to buyers. Trim back hedges into tidy mounds. Also they may be blocking in natural sunlight that could be filtering back into rooms in the house. 3. What first impression is your front door or entry saying? Every buyer will judge your house in the first eight seconds.Give the front door a fresh coat of paint and update the hardware & new screen on the door to impress buyers. Pay attention to detail to make the home look as expensive as possible. 4. 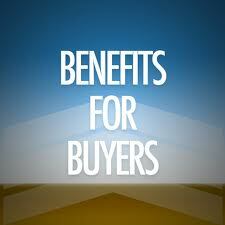 Where can you reap the most benefits on enticing a buyer? Kitchen and Bathrooms sell homes. In the kitchen, make simple changes by giving the cabinets a fresh coat of paint. Keep counter tops clear and clutter free. Don't leave out mail and personal items that others can see. You want the buyer to envision themselves in this house. It's hard to envision with personal photos and your stuff all over. 6. What are buyers looking for in bedrooms? You want your bedrooms to feel bigger, so keep clothes and stuff off the floor. De-clutter and remove extra furniture so rooms feel bigger and give the impression of light and expansiveness. Clean rooms look bigger. 7. Where else can you catch a buyers eye? Linen Closets and overall attention to order and detail will give buyers the impression you keep your things tidy and the home is probably just as taken care of. Stacking towels neat and tidy go a long way. Remember to keep it simple if you are staging your property as well. Simple is Better! These simple changes can add value to the overall sale of your home. You only have one time to make a first impression, make it the best possible impression you can. Starting out the new year with solid goals is like a fresh start to the entire year. My goal this year is to be more efficient with how I run my business in Real Estate and how I work with my San Luis Obispo buyers & sellers. As a Real Estate agent I need to stay focused and remind myself what is important in every day business life. Below are thoughts about ways to be more efficient in Real Estate or any business you are in. Following these focus steps will lead you towards better efficiency and profitability in your business. Resolve to create a profile of your ideal customer and stick to it. Figure out who you can best serve and use this understanding as a guide for determining who to work with and who to refer on. Commit to working with only your ideal customers for this year. You'll feel happier and your business will be more joyful. Promise yourself to make business decisions guided by your heart, head and finances. Too much of any one is not good but a little of all three can be very helpful when considering new opportunities or approaches. Agree to let yourself be known. Get more comfortable with promoting yourself and your business and let people know who you are and what you do. Tend to your current best customers and ask for referrals to more customers just like them. This is the fastest and easiest way to grow your business. Freshen up your marketing strategies. Try a new marketing approach, especially if it makes you stretch. Keep yourself on the growing edge and keep refining your marketing. Learn something new. 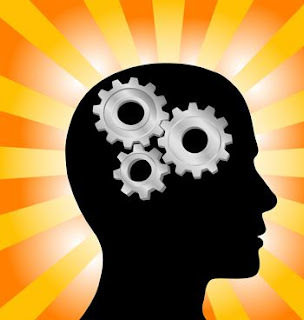 Seeking out new knowledge and new methods can keep you feeling interested and enthusiastic even with the occasional ups and downs of business. Master a positive mindset. Keep your mind free of self doubt, worry, or fear. You can achieve what you desire or else you wouldn't want it in the first place. Ask for help. Allow others to mentor, guide, support and coach you to reach your goals. The journey is better when it's shared. And it's more likely you'll get there - with help, than on your own. Savor your accomplishments. What's the point of continually achieving business milestones if you never savor the feeling of accomplishment? The more you enjoy your business success, the more success you will have to enjoy. 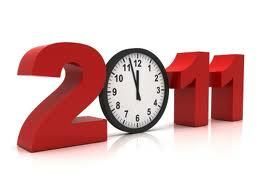 I wish you all the very best 2011. Let's make this year the most profitable and satisfying one yet. Now go out and take over the world! MLS Search tools are the best way to look for homes for sale online in San Luis. I have added a new MLS (Multiple Listing Service) feature to my site that will help you look at property in an easy way. My new "Real Estate Listings" Button is a helpful MLS tool to search all homes in San Luis Obispo County. Go to http://www.traciferguson.com and click on the far right button, "Real Estate Listings" and begin your search for any type of property you are looking for. I can also set up a customized search for you. Get new up to date listings sent to your in box. Let me be your home resource for you and your family. 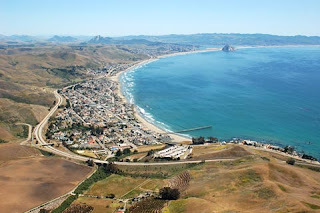 As a buyer in San Luis Obispo you need to have all the information you can to make an informed decision. My job is to help you get the information you need. I recently have added a Mortgage Calculator to my site, and not just one type of mortgage calculator mind you! When you go to my site, http://www.traciferguson.com and click on the center button," Real Estate Videos & Info" scroll down to Free Mortgage Calculator. Or click here to see a list of calculators available to you. If you are considering buying in San Luis check out my site and the Mortgage Calculator page.Get a feel for what your payments will be, know what to expect and how your money can work for you. If you have any questions or would like to discuss any of these calculators I would be happy to answer. As an ecoBroker and Realtor in San Luis Obispo I can be burdened by the cost of printing. The amount of paperwork needed to document and move a property through escrow can be surprising. It's not uncommon to print out over 200 pieces of paper for one transaction. I began to think for a way I could move through a transaction and minimize my use of paper. My personal challenge is to go paperless. These are the steps I'm taking. My computer's default printer is now set to save a PDF format document on my hard drive. Using this option makes me think twice about whether I need to print a hard copy or if a saved PDF image on the computer is appropriate. it's also eliminated the "oops" fact of printing something I didn't mean to print. Using electronic signatures for my transactions is one of the greatest thing I have ever done. I'm saving paper, toner, gas and time on each transaction. My clients love it because it's easier and quicker to sign the documents. I don't have to worry about printing the initial document and copies to my clients are automatic. By creating a printout and laminating a sample transaction, which covered the purchase price, financing arrangement, closing costs, and any addenda that clients can use when they're reviewing the transaction on-screen. This will encourage them not to print a copy, as they can see the sample transaction in the laminated format. I'll even provide notes on the sample so that they can know what to look for when reviewing their transactions online. When we are done with the transaction. I'll ask for the laminated copy back so I can provide it to the next client. Transaction management software provides a single storage place for all documents that are needed for any transaction. The benefit is the ability to generate a single CD at the transaction's completion, which can become my agent file. A second CD can be provided to clients for their records. A much better approach because no one ever looks at the mounds of closing documents after the transaction anyways. I'm going for a paperless marketing approach for my listed properties. There are numerous tools available to allow customers to get information via website, text, and phone from directly in front of a property. Using these tools will allow me to do a better job at capturing prospects' contact information and will ensure that there is never an empty flyer box at any of my listings. My clients will love knowing that potential buyers can get all the information they could possibly want, day or night, based on signage in the font yard. I can feel good about structuring my business to go paperless, save some time, money and trees while doing it. Our digital age makes it so much easier to do this. Now everyone can use these resources to their advantage. 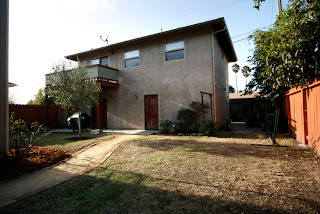 San Luis Obispo Downtown Home for Sale! Blocks from down town San Luis Obsipo, this home combines modern construction and features with classic, downtown San Luis style. Wood floors from the original structure have been utilized in the main home and a very clean studio over the garage has direct access from the alley as do all three garage spaces. Click Here to see and learn more about this home. MAIN HOME: A cathedral ceiling in the great room plus woodburning fireplace, slate hearth, hardwood flooring, and recessed lighting to help set the mood for gorgeous SLO living. There are dual-paned windows, decorator colors, beautiful cabinetry in the kitchen, along with a Fisher Paykal 5-burner gas cooktop, electric convection oven, large countertops and slate tile flooring. Enjoy a home that boasts two suites! The master suite with walk-in closet and master bath also with dual vanities, plus separate shower and jetted tub . . . the guest suite, with its own full bath, has plenty of closet space and an extra bonus nook that offers extra furnishing possibilities! The indoor laundry is an added convenience. Click Here to see more of the interior of this home. DETACHED STUDIO: The separate studio to the rear has its own balcony view deck, vaulted ceiling, wood flooring, custom and recessed lighting, kitchen, full bathroom, and large room for bedroom / living room / dining area. The yard has privacy fencing and lots of gardening possibilities ... Bring your ideas for creating your own garden / entertainment haven. SLO’s perfect microclimate may serve your planting ideas well. There is a fenced side yard off the main home offering privacy and an area for pets or playing. Despite the recent correction in the housing market here in San Luis Obispo County, it's no secret that a real estate remains the greatest source of wealth creation nationwide. By using the power of leverage you can purchase a home and create long term wealth. Leverage in the context of Real Estate means "borrowing money" and derives from the word "lever" which can be used to create a tremendous amount of force. How does leverage work in real estate? Let's assume you purchase a home for $400K with 20% down payment ($80K) and the bank loans you the remaining 80% ($320K). 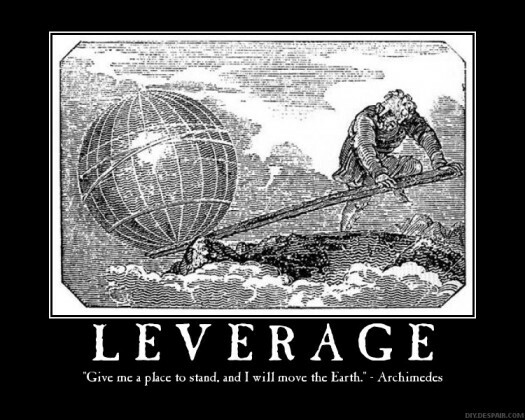 The word lever, " leverage" is appropriate because, like the strength you gain by using a lever, you have gained more purchasing power by borrowing money. You essentially buy a $400K asset for just $80K. Of course, now you have to repay the bank, but here is where the power of leverage kicks in. Let's assume that San Luis real estate continues on the same trajectory it has been on for the past 100 years and it gains in value 2% over the rate of inflation (this is the average of all the bubbles and recessions during that time frame). So just by living in your home and not including any improvements you may make, your investment creates $8K ($400K x 2%) of wealth in the first year alone. When measured against the original down payment, that's a 10% return on your cash investment ($8K/$80K = 10%) which is pretty hard to find these days. Now, imagine that you live in your SLO home for 20 years, through the magic of interest compounding at an annual rate 2% that the same $8K will turn in to $194,379. After 30 years, the gain would be $324,545 plus, by then, you would have probably paid off the original principal balance. All of this is made possible by leverage, which is the borrowing of money to make the purchase of a home possible. Of course, we all got carried away with the use of excessive leverage during the bubble, but now may be a great time to revisit the concept. You can continue to track what the market here in San Luis Obispo is doing by watching the numbers. But your best bet is to find a house that you will be happy in, make a significant down payment (at least 20%) and let the power of leverage and compound interest work for you. Despite what the media says, real estate is still the greatest avenue towards life long wealth. News papers, media, and politicians are on the bandwagon to talk about the horrible housing market. Talks about a mortgage crisis and meltdowns are just a piece to what is truly happening in real estate today. They publicize the negative for their own gain to sell newspapers and skew the true perspective. The truth is that 30% of homes in the U.S. are owned free and clear. The media never talks about this. The majority of homes for sale are not Foreclosures or Short Sales. Bad news is something to talk about create fear and despair. Don't let them stop you from pursuing a future investment opportunity. The fact is the media has been doing this to the real estate market for decades. "The goal of owning a home seems to be getting beyond the reach of more and more Americans. The typical new house costs $28,000 dollars." "Housing experts predict price rises in the future won't be that great. The median price of a home today is approaching $50,000 dollars. "The golden age of risk free run ups in home prices is gone." "A home is where the bad investment is!" Shoot me an email to find out more how the power of leverage can work for you! Click here to get a customized Free Home Search, just for you. To view my other listings Click here. Scroll down to the bottom of the page for listings on the Central Coast. San Luis Obsipo Real Estate - Income Property Ideas! If you are a Real Estate Investor, own Rental Property or Commercial Property in San Luis Obispo; how can you increase the income you're getting from your property? Well, read below. We are all looking for ways to increase income in our resent market conditions in San Luis County. Sometimes the possibilities are right in front of us. Take a moment and look at your commercial property or rental property with a new set of eyes, to see if you can spot any changes that could make you some extra rental income. If you have an extra storage unit could it be converted to a better income unit than its current use? Could it be modified to an office space for a small business? It could have potential for rent in the hundreds of dollars a month. Do you have a parking garage that has odd shaped corners that are not suitable for parking? Are there potential storage areas that could be rented out to tenants or small businesses? Areas of a building that are used for centralized mechanical systems could be consolidated to add a small rentable space. An area like an inside refuse area used for all tenants can be moved to the outside of the building. Freeing up that space to be built out to a small office, conference room or rented as storage. Tour your San Luis Obispo income property with a new perspective to find additional income streams to build your revenue enhancement opportunities. There are numerous opportunities to add rental income without expensive additions to the property. If you are looking for a rental property or an income opportunity, email me today to get a list of income producing properties for San Luis Obispo County. Or go to my website and fill in the Home Search form under my video page. I'm "Your Realtor that Knows Homes".